A look back at the first three chapters of the atmospheric drama re-telling the story of Jesus's final days. It is Passover in Jerusalem, and the city is bursting with pilgrims. It is Passover in Jerusalem, and the city is bursting with pilgrims. While it is the greatest of the annual festivals, it is also a tense time for those charged with keeping order, like Pilate the Roman Prefect and Caiaphas the High Priest. The arrival of a preacher from Galilee called Jesus causes great excitement when he enters through the East Gate on a donkey's colt, fulfilling prophecies of the coming of the Messiah. Once in the city, his message of hope to the dispossessed continues to stir up the crowd, to the dismay of Caiaphas who fears it will provoke Roman intervention and bloodshed. For Jesus's band of disciples, hardened by several years on the road, this is the moment they have been waiting for, but none of them suspects how momentous this week will be. Not even Judas, whose torn loyalties are already making his life difficult. Caiaphas is growing increasingly anxious that Jesus's preaching will provoke unrest and bring in the Romans, and when Jesus appears to threaten the Temple it is the final straw. As Jesus tries to explain his destiny to the disciples, Caiaphas calls a council and presents it with a stark choice. 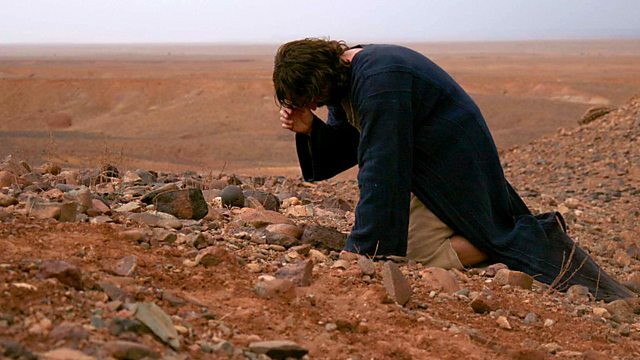 With Passover approaching, a fateful decision is taken, and Judas finds himself placed in an impossible position.